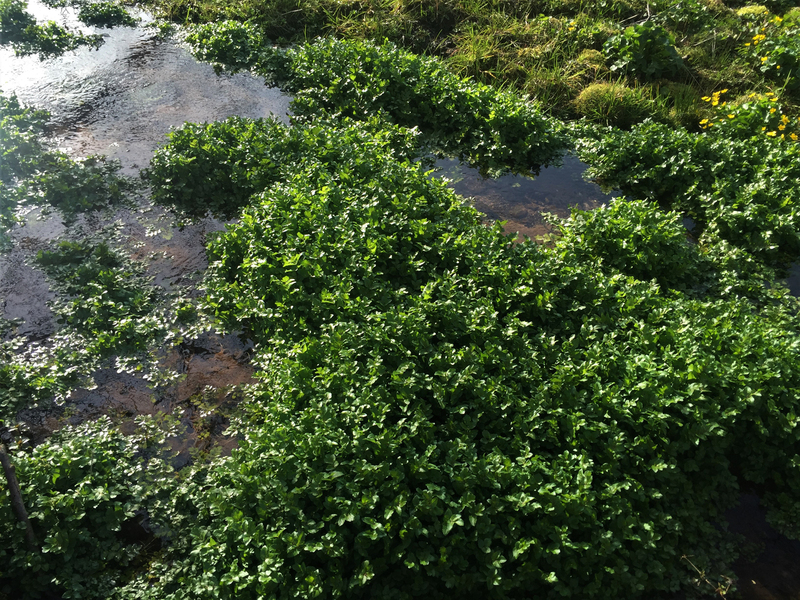 The easiest way to distinguish fool's from true watercress is the smell, fool's watercress smells of raw carrot, watercress smells of cress. 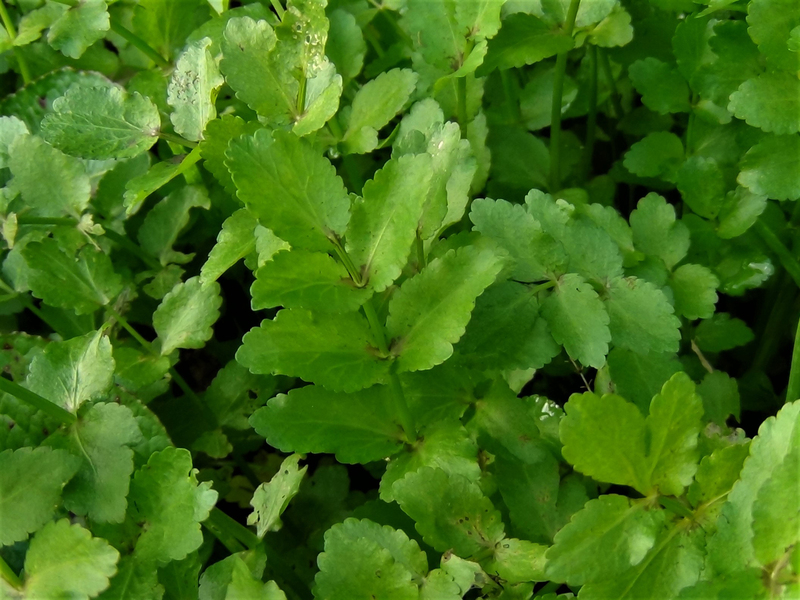 Although it is usually described as poor mans cress it tastes nothing like cress so it is an unfair comparison, it tastes pleasantly of carrot and is great as a cooked green vegetable. 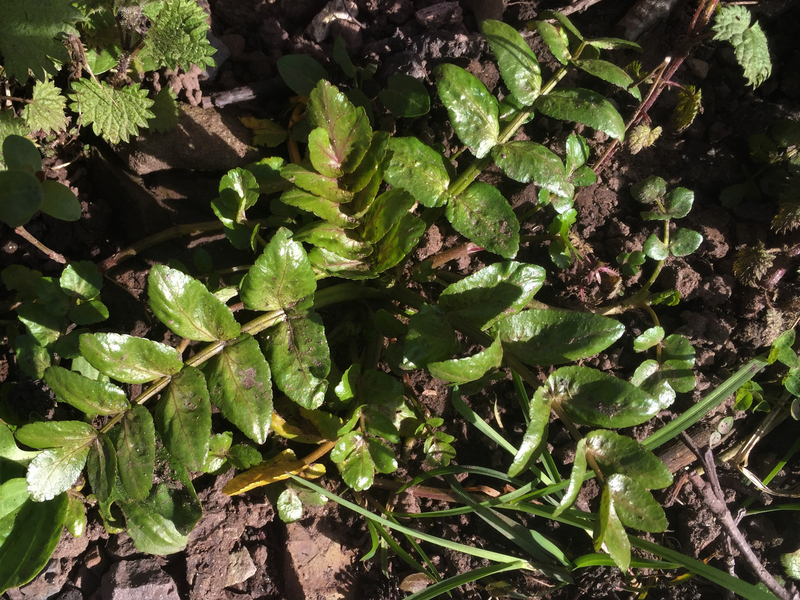 Oval and a bit more serrated than true Watercress. 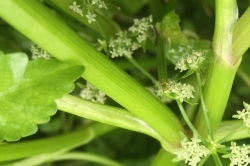 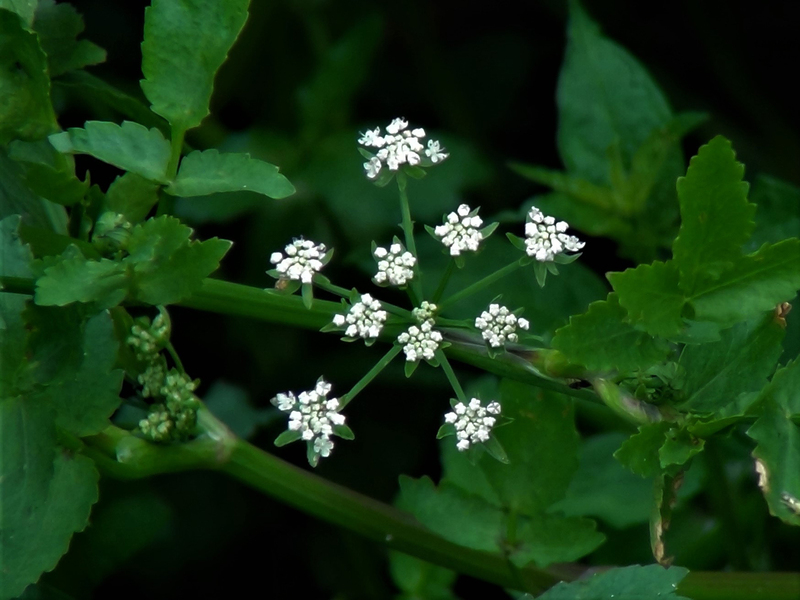 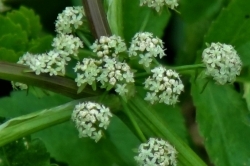 Small white flowers with five petals arranged in an umbel (umbrella like). 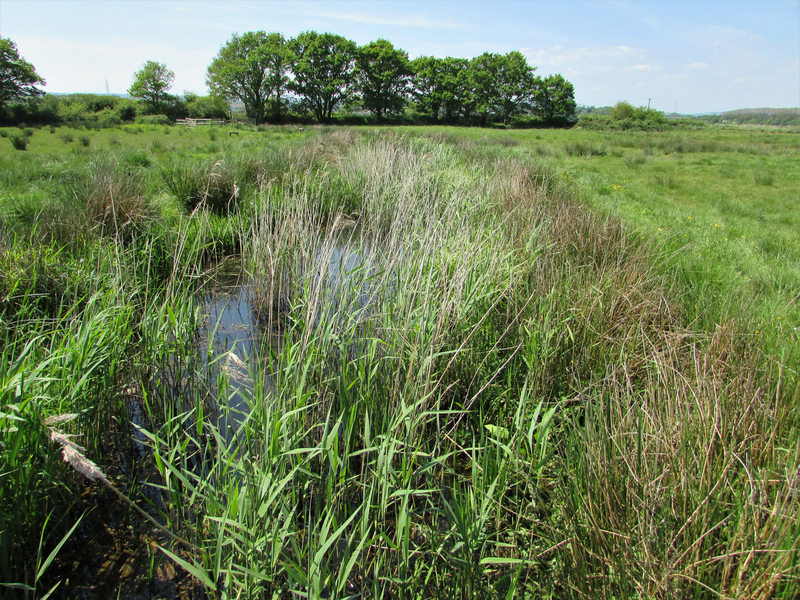 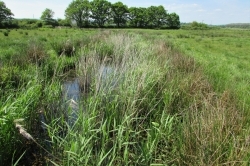 Slow moving shallow water, ponds and wet ditches. 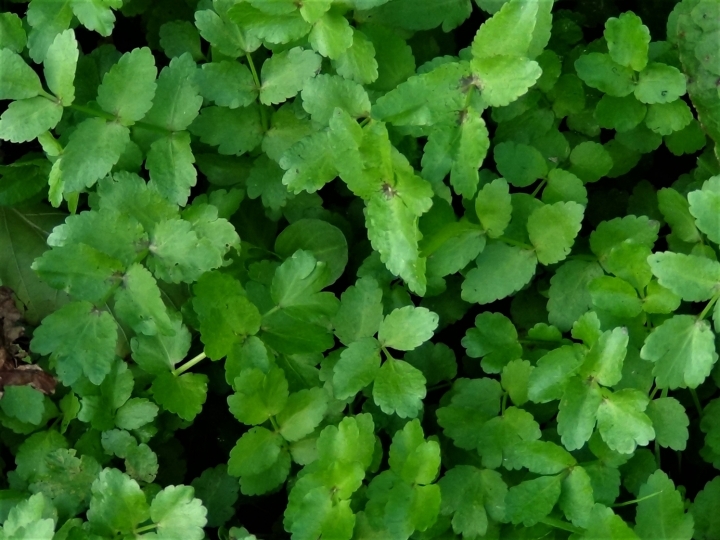 True Watercress, pictured, but it smells of cress unlike the carrot smelling Fool’s Watercress. 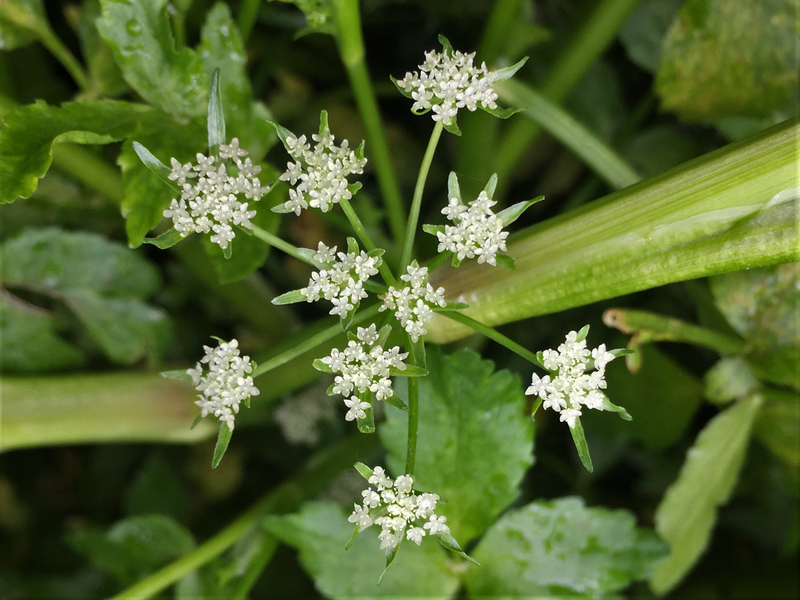 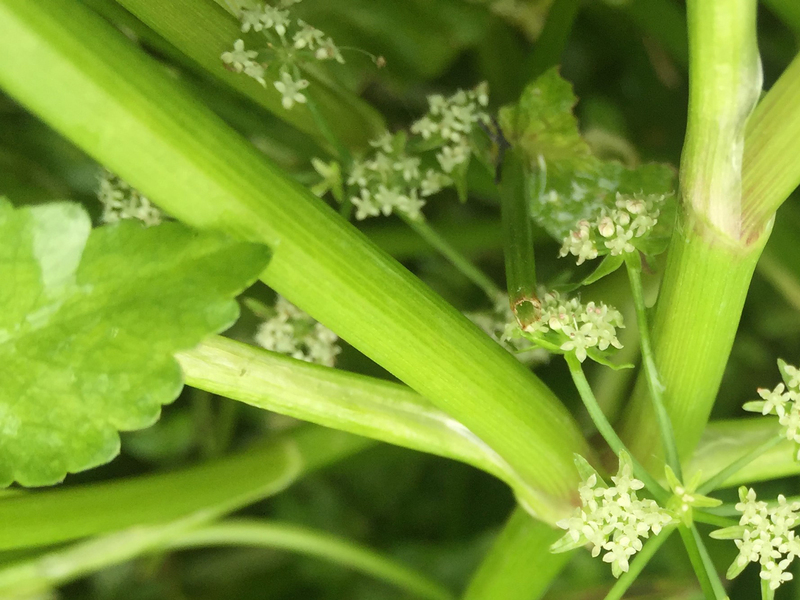 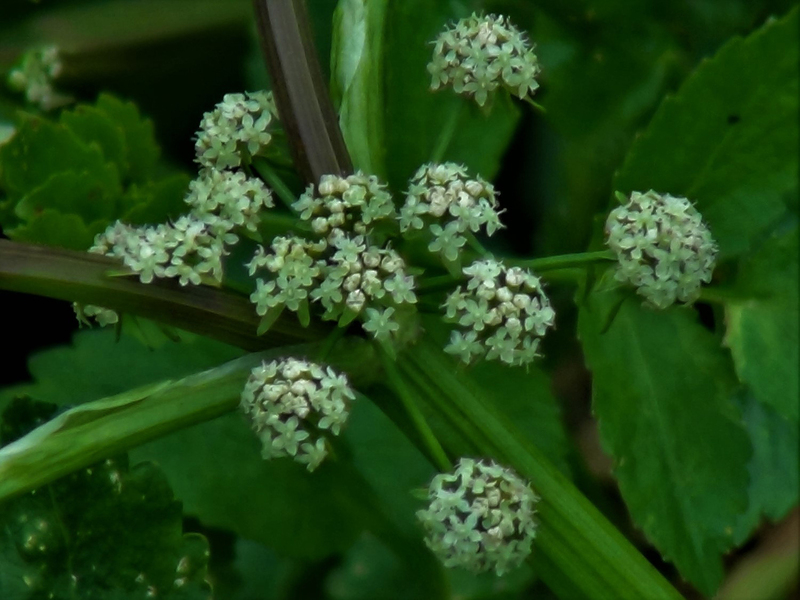 Lesser Water Parsnip, Berula Erecta which is more upright, smells of parsnip and has rings around its stem at the leaf nodes but is not poisonous so this wouldn’t be a fatal mistake to make. 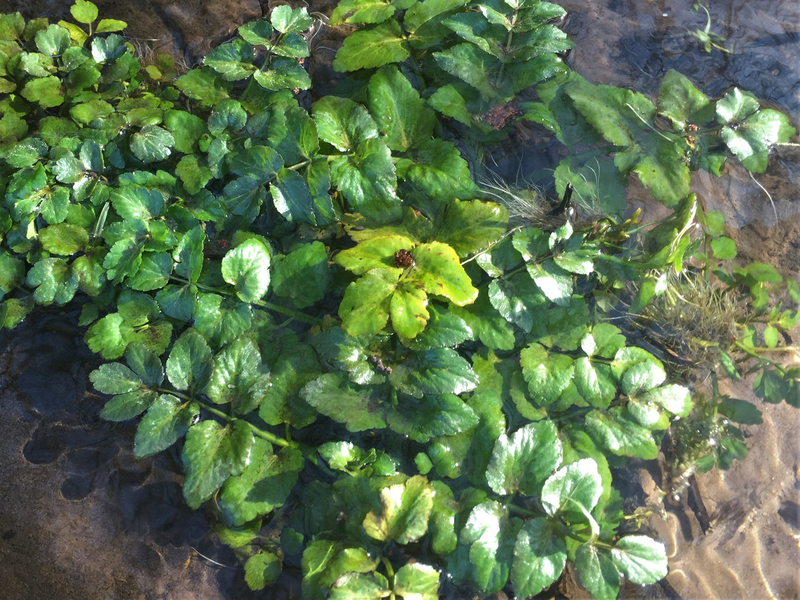 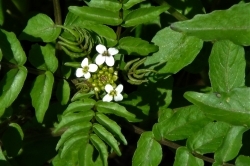 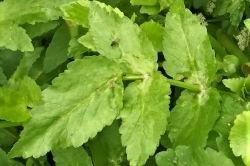 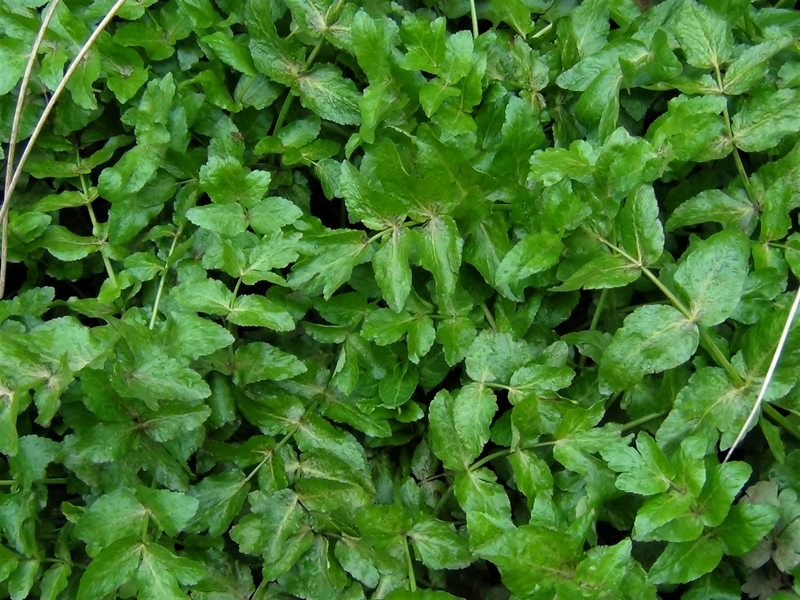 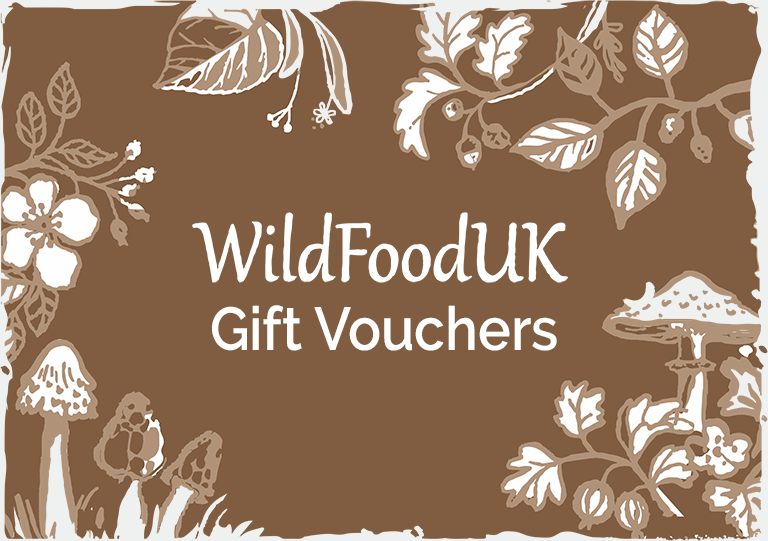 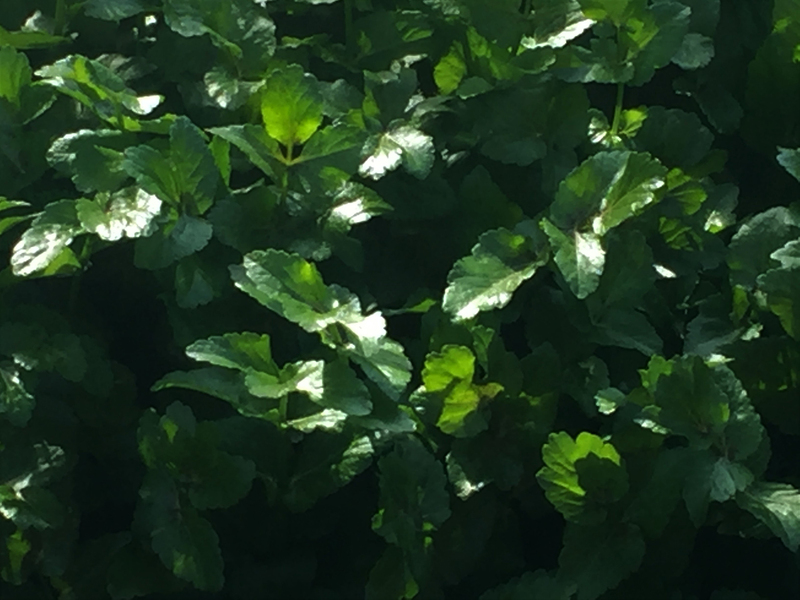 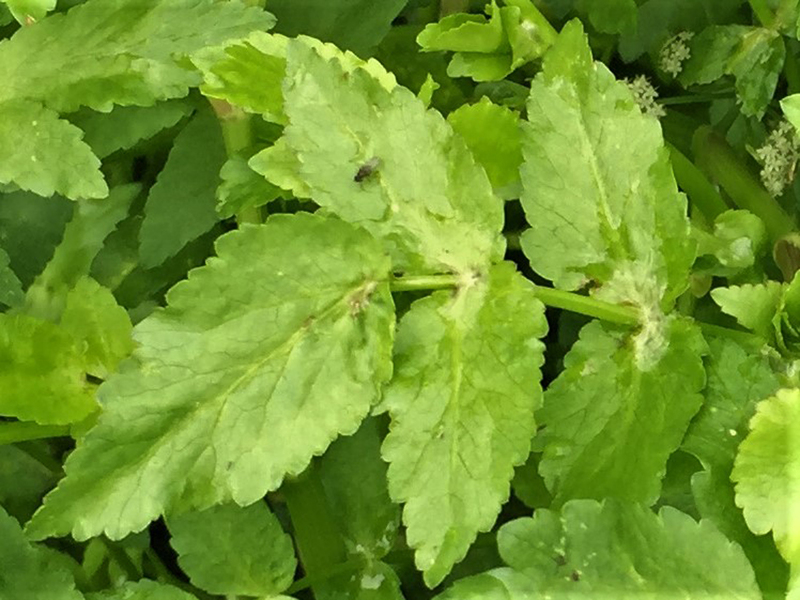 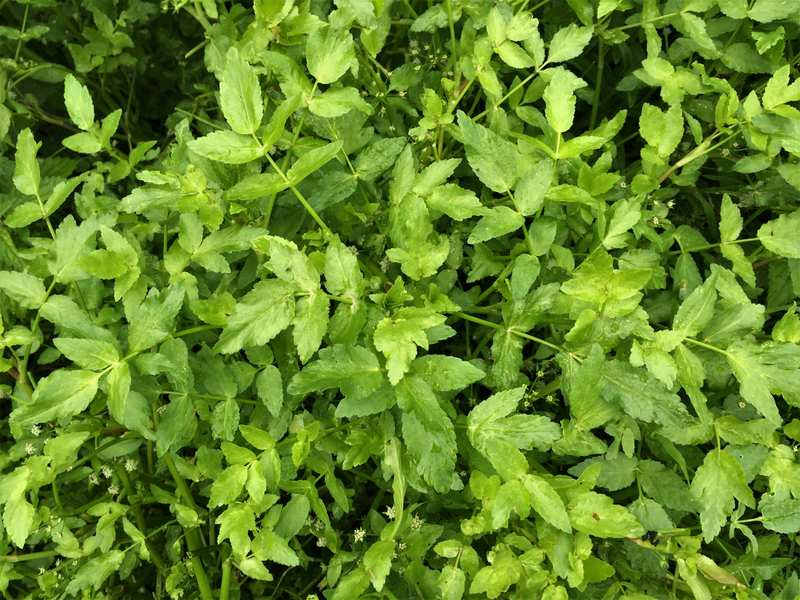 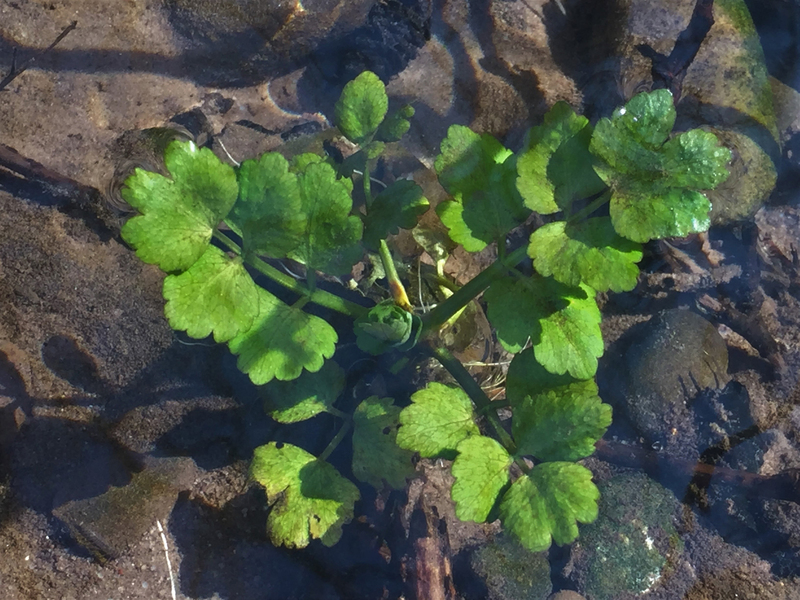 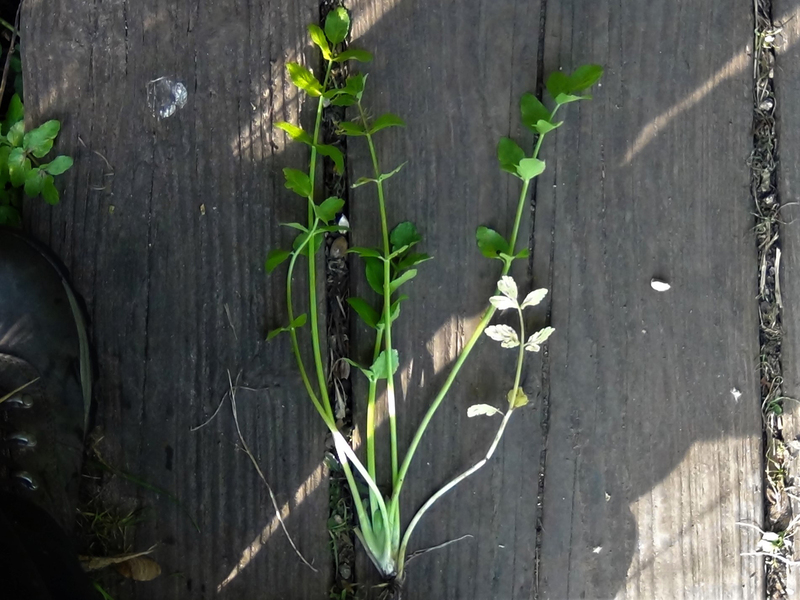 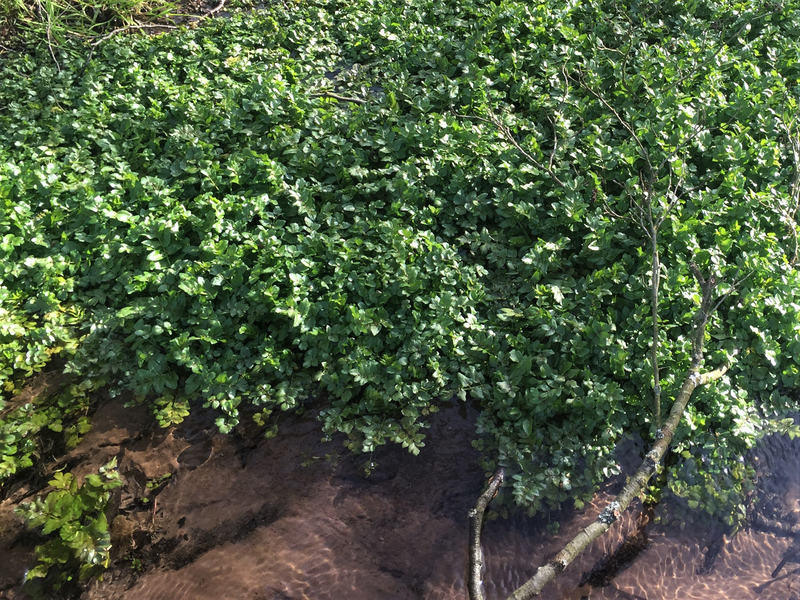 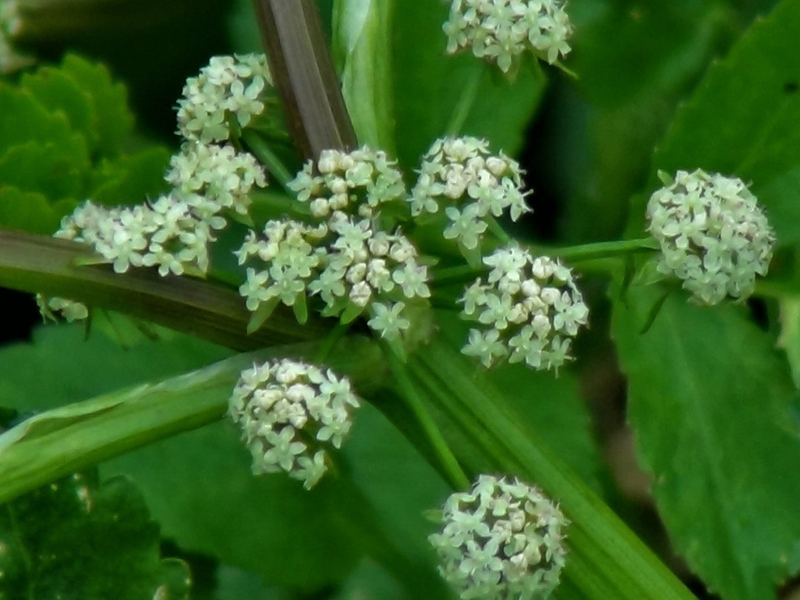 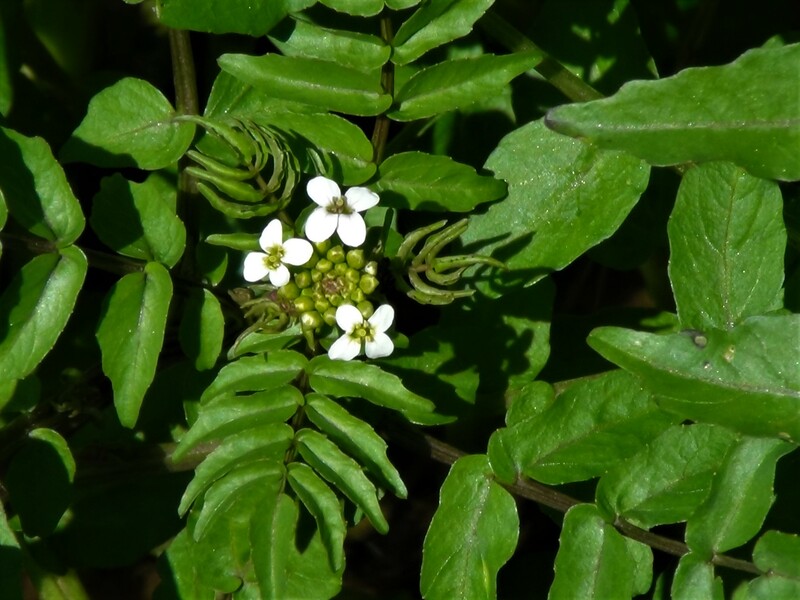 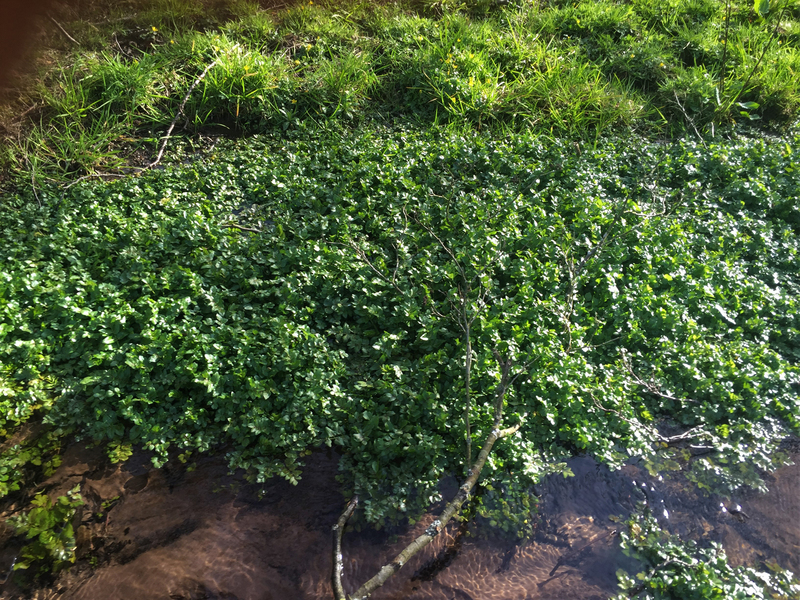 When collecting Fool’s Watercress from the wild it must be cooked as out of site upstream there might be sheep and if so there is the potential for liver flukes which can cause fascioliasis, a nasty liver disease.